You can hold your next event in one of the best hotels in Israel. You can hold your next event in one of the best hotels in Israel. The Pasha Room is a beautiful, unique and inspiring venue with its capacious outdoor terrace in Jerusalem. Weddings, dinners, launches, press conferences, concerts & family events are just a few of the many occassions hosted at this special hall, where the Pasha used to hold court. 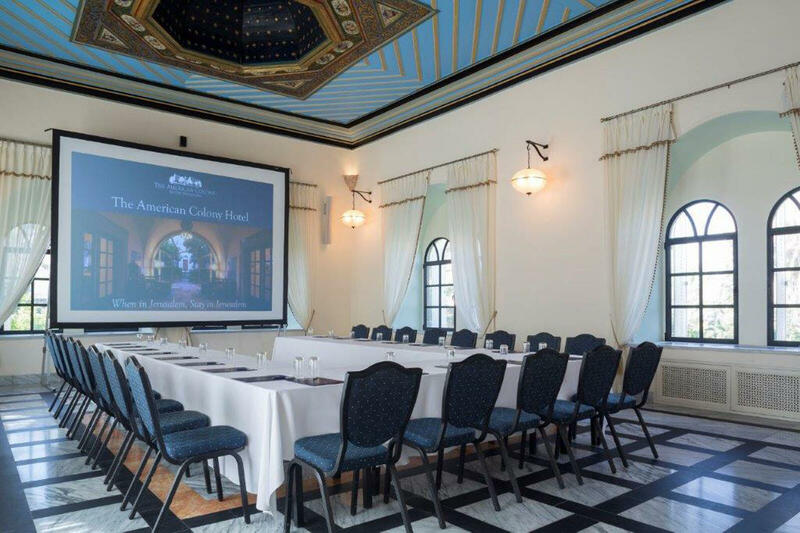 Alternatively, the American Colony Hotel can cater for smaller events and meetings in the Pasha Annex or the Corporate meeting room. For more information please call or email our events department.